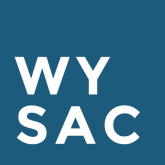 Thank you for your interest in connecting with the Wyoming Survey & Analysis Center at the University of Wyoming. I would like to discuss a new project. I’m interested in your services or expertise. I would like to use your data, findings, or research. I’m in the media and would like more information. Thank you for your interest in WYSAC. We would love to hear how our expertise and services may help you reach your goals and impact your community. At WYSAC, we are more than just deliverables: we are a center of experts dedicated to improving lives through research. If you are interested in using our data, charts, reports, etc. for your own purposes, please refer to our data usage policy for more information.